During the design process, it was expressed by the city that the final product should reflect the character and personality of the city of Edgewood, one factor being a rural setting. 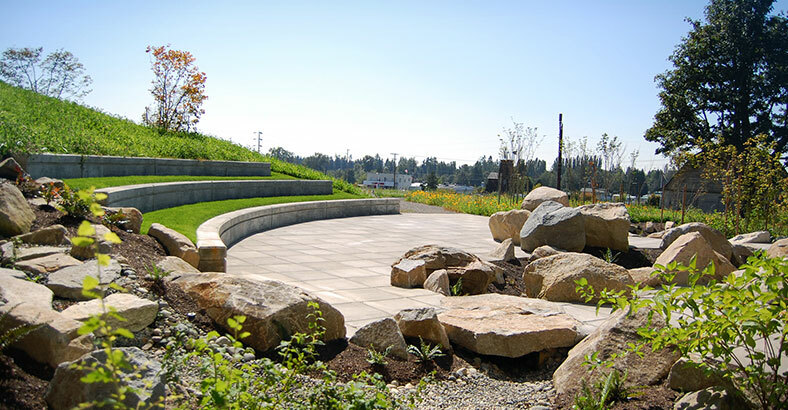 BDA developed the site plan and sited the city hall to the north side of a knoll. 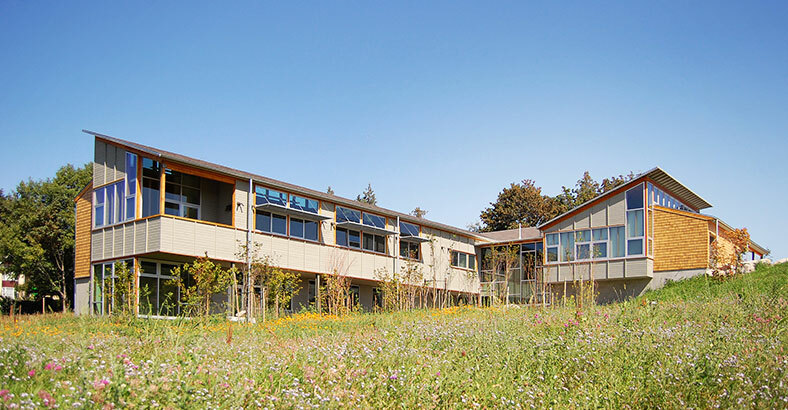 This created a unique juxtaposition as the building rises out to the west with a southern exposure and takes advantage of the slope, as well as the southwest prevailing winds for natural ventilation of the building. Parking is on the lee side of the knoll, out of sight from the highway to the west. The balance of the site is open with sweeping paths around a central open space and preserved, historic barn. 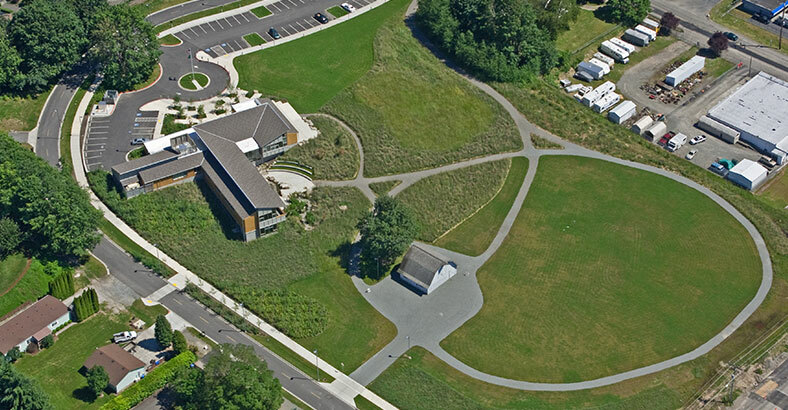 The open space with natural grass and wildflowers reflects the rural character of the once vital farming community. 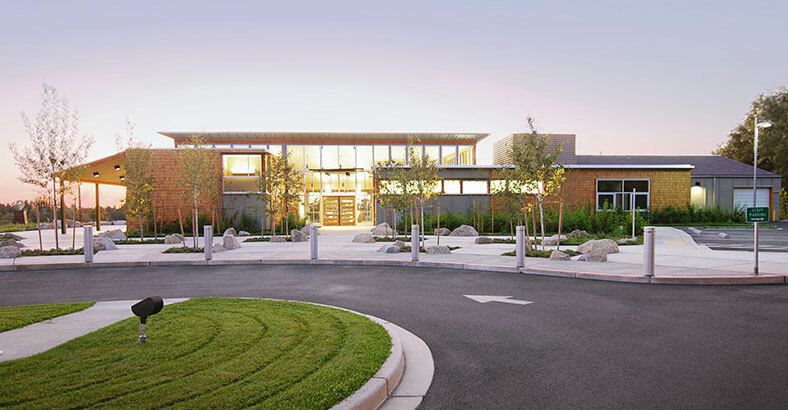 Vehicle access wraps around the site threading the needle between two significant big leaf maples, which were preserved as part of the design, and providing a sublime approach to the building. 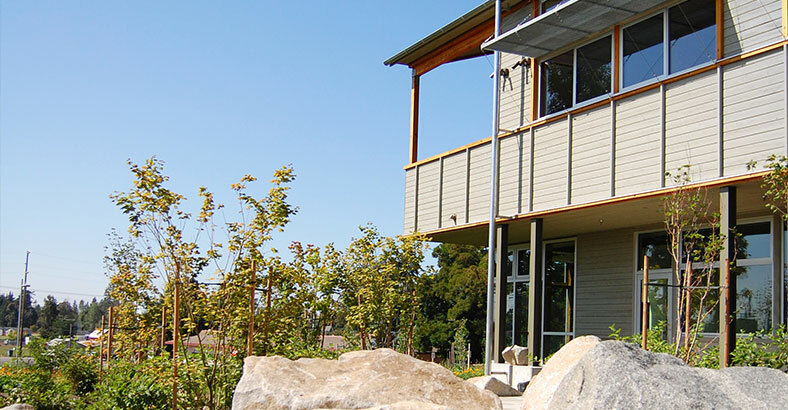 Mass plantings of sustainable, drought tolerant, native plants compliment the building. Large local stone anomalies accent and protect the building entry.